I’ve written before about how much I miss the B-tier of gaming, that time when there was something between a $100 million “AAA” release – the shifting definition of that term is another post in itself – and a quirky indie game from two blokes in a garage. Every so often you get something that channels the spirit of that time, showing that polish, cool ideas and a budget aren’t necessarily mutually exclusive, and I was pleasantly surprised to find that this, which had sat on my pile of shame for a couple of months, is put together in that vein. I mean it as a sincere compliment when I say that The New Order feels straight out of 2003. It belongs to that glut of post-Half-Life 2 narrative-driven shooters that were ten-a-penny on the original Xbox and actually represented, in retrospect, a reliably good subgenre for one that was rinsed so thoroughly. As well as Valve’s classic, the DNA of games like The Chronicles of Riddick: Escape from Butcher Bay (there’s a Starbreeze connection), Breakdown, Psi-Ops: The Mindgate Conspiracy, Doom 3 and so on is on show here. Even if I limit the discussion to games about leading a resistance against a technologically advanced and oppressive regime, I could equally be talking about The New Order, Half-Life 2 or the much-missed Freedom Fighters. This retro feel is carried through to the pleasantly old-school design: secrets, collectables, non-regenerating health, an arsenal of weapons to carry around without regard for encumbrance systems, and giant enemies with exploitable weak points abound. Even the prominence given to dual-wielding feels pleasantly of that era, after Halo 2 made it a banner feature but before dour, grounded militarism became the genre’s creed. The New Order isn’t thrown together without thought, though, which is perhaps surprising for a series with such straightforward roots. Almost as surprising as the lack of multiplayer in a game whose deathmatches once hooked me so strongly. The design of posters, signage, architecture and even the pop music heard in the background has been built to present a believable vision of the 60s in a world where the Nazis won the war and propaganda infuses all aspects of culture. I read several excellent articles about the music around the game’s release, among them VentureBeat’s, and was blown away at how much effort went into an area that is so easily overlooked. 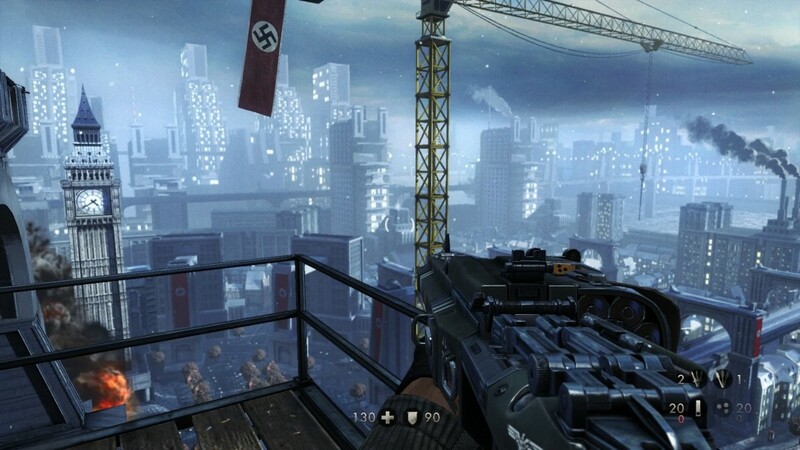 Wolfenstein is undoubtedly a game that would have made my abridged best of 2014 list had I plunked down the cash before the Boxing Day sales. I’m tempted to drop a cliché about how it’s not big or clever, but really, it kind of is. The old-fashioned parts are lovingly, knowingly so, and the thought put into its vision of a Nazi-dominated 1960 is up there with the big releases. There’s nothing in The New Order that’s been thrown together arbitrarily. I’m happy, therefore, to declare that gaming’s B-tier still lives! For one game, at least. Imagine the plaudits a Bethesda game could boast if it made one that actually worked. Skyrim suffers from fundamental bugs that have plagued this new/old engine through Oblivion and two Fallout games so far, and yet it’s still managing to clock up incredible numbers of awards along the way. I can only assume that a Bethesda game with actual polish, once the critics recovered from the shock of it, would result in calls for all other developers to give up and go home for the year. 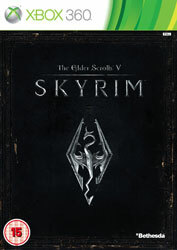 I have thoroughly enjoyed my progress so far in Skyrim, not so much as a narrative experience but a simple experience. Skyrim – the province, not the game – is gorgeous, and a nice change after the unending green of Oblivion and brown of Fallout 3. It’s amazingly atmospheric, from the mist around the mountain peaks to the auroras in the night sky, all of which just makes me wish it would be less bloody buggy. This might seem like a low placement on the list next to the growing list of GOTY awards that it’s getting elsewhere, and that’s not even because of the questionable QA job. I just found myself seeing the dice rolls happening under the game’s skin more than I’d like and more than I do when playing games from BioWare, the other Western RPG developer that can seemingly do no wrong. I’m so used to seeing the bugs in a Bethesda game that I take it in my stride, but kludgy combat that got in the way of the exploration – the reason why I’m playing this, ultimately – got on my nerves. Next generation, as well as a genuinely new engine from Bethesda, how about letting me stealthily kill someone with a single arrow without having to trudge through 50-odd levels of guards running at me with arrows sticking out of their head? Skyrim didn’t grab me like it did some, apparently, but I still enjoyed what it had to offer. Although I found other Bethesda games more immediately appealing – I say ‘immediately’ because I’m far from finished with it and may yet warm further to its unique charms – and desperately want some new tech behind these games, this is probably the best of Bethesda’s open-world RPGs. And that’s high praise. I may have put Fallout 3 off to finish some of 2008’s other big games, but as we move into 2009 there’s only one of those games that I’m still playing. 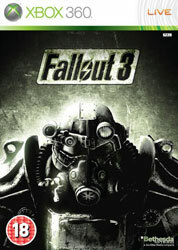 Fallout 3 is a slow starter, taking a good hour of talking and being taught the basics before you even hit the Capital Wasteland. It’s far longer than the equivalent opening dungeon of Oblivion – that’s Fallout 3 without guns, or so I’ve heard – and when you eventually get kicked out of the relative safety and into the big wide world, it’s even more overwhelming. It was a good few hours before I even had sufficient money and ammo to even consider taking on human enemies. But even during this crawl, I found myself intrigued by what I was finding, being tempted to explore beyond the safety of Megaton at the risk of running into mercenaries who could burn me into a pile of ash with weapons that I wouldn’t find for hours of play and giant scorpions that I’d have to dance around and hit with a baseball bat for five minutes each. At the risk of going over the same stuff that I said about Fable II, I just fell in love with the world that Fallout 3 presents, albeit for different reasons. It’s bleak and depressing, but it’s also liberating and exciting, and I like playing an RPG where a new town might offer great loot but equally might lead to a massive gunfight. I like the implied stories, like the charred skeletons huddled on the bed in a bombed-out house, left over from when the bombs fell. I like the exhibits in the pre-war technology museum, showing off the utopian vision of life in a Vault that’s a bit more like the brochure than the reality. But most of all, I just love playing this game. It’s buggy as hell and, being a Bethesda game, most characters are like talking to slightly creepy mannequins, but I found the story and setting – let’s face it: those are the things that keeps anyone going through the monotony of even the best RPGs – as interesting as it was in the original games. 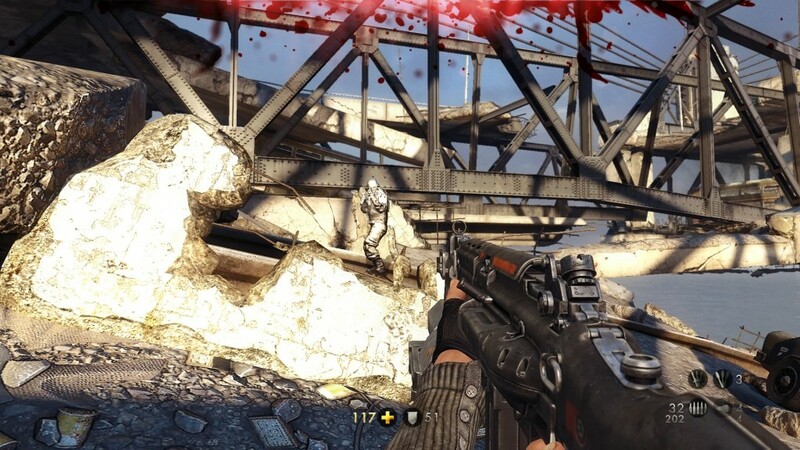 Oblivion with guns? Maybe, but Oblivion with slow-motion decapitations and a teddy bear launcher is more than good enough for me. So now that Bethesda has two big hitters and a successful formula, here’s to an even better Elder Scrolls V in 2010. But let’s get to the DLC for this one first, eh?